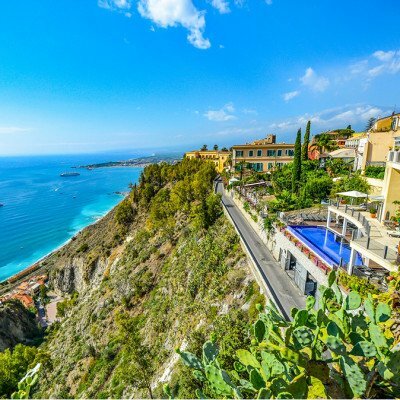 Our holidays in Sicily are based in the undiscovered west of the region, rich in historical interest; the south-east of the region, famous for its UNESCO World Heritage towns, chocolate and wines; and the Aeolian Islands, the volcanic archipelago in the Tyrrhenian Sea north of Sicily. The west is a former Arab kingdom, Palermo's Conca d'Oro (a ring of citrus groves) is an Arabian import. Many towns with their white-washed low walled square houses, such as Marettimo, would not look out of place in North Africa. The countryside is gentler here, than on Etna's flanks, characterised by sloping vine-terraced hills giving way to shingle coves and sandy bays lapped by sapphire waters. The south has always been the preserve of the Spanish - Ragusa, Noto and Ispica were all rebuilt according to Spanish Baroque in the C17 after an earthquake. Today their cathedrals could grace any Andalucian square. 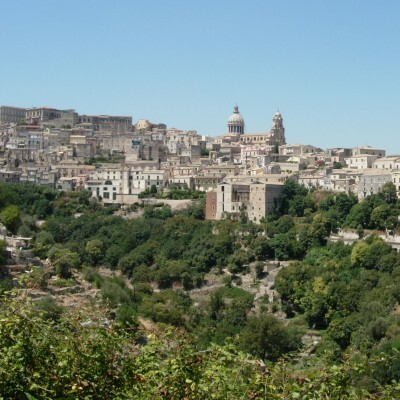 These gracious towns perch above dramatic limestone gorges, lined with oleander and carob trees. On the coast, you'll find miles of unspoilt, wide sandy beaches. Home to Europe's largest volcano, Mount Etna, this is a land of fertile terraces, bougainvillaea-decked squares and rocky volcanic shores.